Escaping North Korea is difficult, but it can be done. 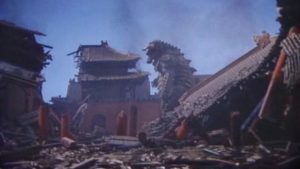 Notable escapees include Choi Eun-Hee and Shin Sang-Ok, a South Korean actress and director who Kim Jong Il captured and forced to make movies, like the Godzilla knockoff Pulgasari, pictured below. Kenji Fujimoto is the pseudonym for Kim’s personal chef who escaped to Japan in 2001. But, the vast majority of North Koreans escape the country because of famine and desperation, and the trip is a long and arduous one through China and Southeast Asia.